Hi, friends! Welcome to another addition of your favorite monthly series, Furry Friday Feature. 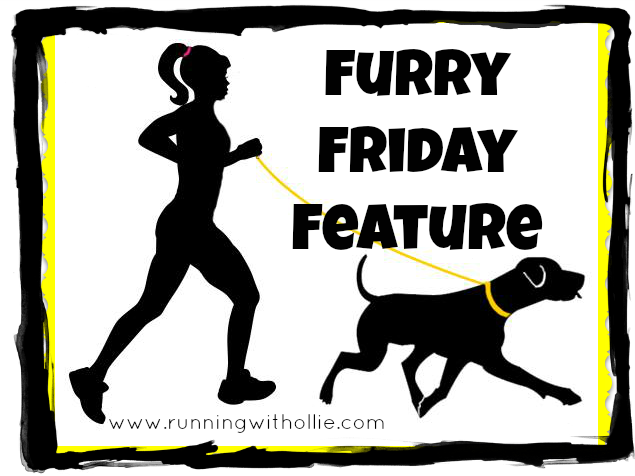 Once a month on a Friday, I feature a runner and their favorite four-legged running partner, because everyone likes to look at pictures of cute pooches! 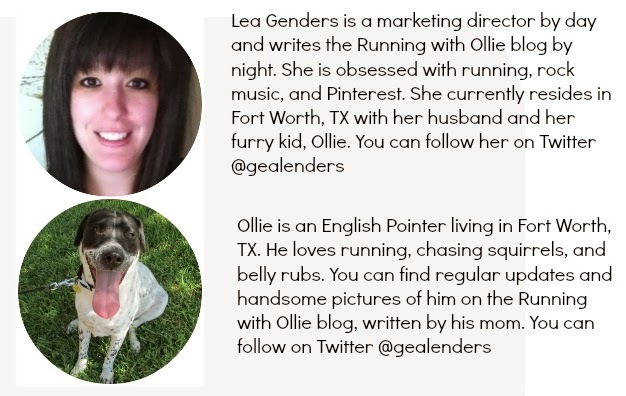 This month I am excited to introduce you to Jeannine and Fergus! 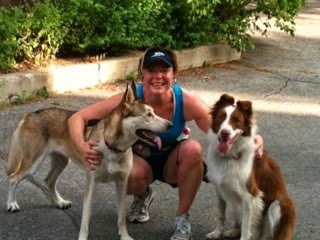 Jeannine, Fergus (and friend, Bella) after an 8K run. 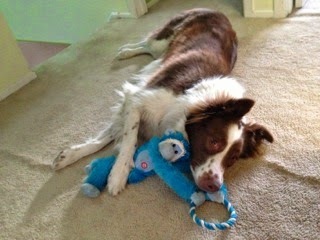 Fergus and his monkey friend. My name is Jeannine Ritchot, and my blog is called "Herd in the 'Hood" a nod to my herding dog, Fergus. What can I say about Mr. Fergus. This neurotic 3-year-old Australian shepherd/border collie mix is my best pal and a natural born athlete. With his long legs, boundless energy, and love of being outdoors, he is such a great running partner. Plus he has a loud bark to boot, which he uses to keep his girl human safe when we run together in the early morning! When he's not running, he's showing off at a flyball or agility class, or playing hide and seek with his favorite toy, Mr. Monkey. Hands down, the Arboretum, a lovely green space in the heart of Ottawa, Canada. As soon as we get there, I let him off leash so that he can chew on every stick, pee on every tree, and herd all the other dogs, while I get to take in the wonderful view. Our favorite time of year to be there is in the fall, when the trees have changed their colors. It's our favorite spot on earth! No. But I have also never raced. I run for the pure love of running. And to spend quality time with myself and my best pal. I don't want to share that with anyone else, least of all a big racing crowd! The first time that I broke 55 minutes for a 10k was a big day for me. It's not super fast, but it's super fast for a girl like me with really short legs! Fergus was with me for this victory! I credit him for not having to pee on this run! I blogged about this once. 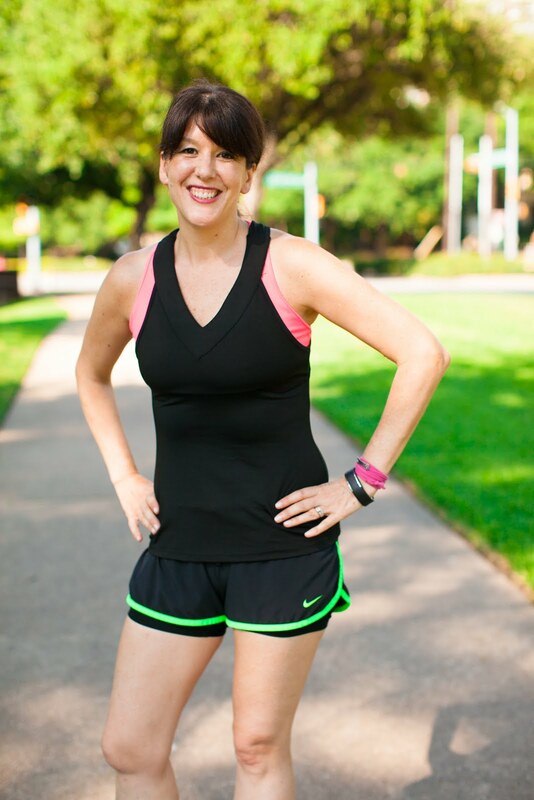 I used to compete really hard with myself, and every run was really just about getting in a better time than my previous run. And then Fergus came into my life. And he'd sometimes have to stop to pee, or to sniff, or to jump in the river to go for a swim. It used to bother me that he was "slowing me down." But then I realized that he was teaching me a lesson - to savour the moments that make you the happiest rather than try to rush through them at record speed. When I look down and see his ears back, his snout up so he doesn't miss a smell, and a big goofy grin on his face, I know that it doesn't matter if I run the fastest or the slowest time I've ever run. What matters is enjoying the moment. I love him for teaching me this lesson! 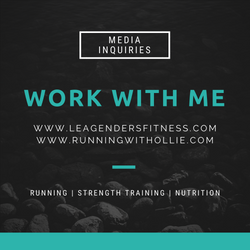 People often ask me how I stay so motivated to run so regularly - 3 times a week, rain or shine, winter or summer. I tell them it's because I have a Fergus. We've run in freezing rain, -40F temperatures, miserable winds, you name it. I figure that if he doesn't let these things stop him from getting outside to enjoy life, neither should I! Thanks Jeannine and Fergus for sharing your story! You can follow Jeannine on her blog Herd in the Hood or follow on Twitter @OttawaJay. Thank you for sharing this story and another runner/pup pair. 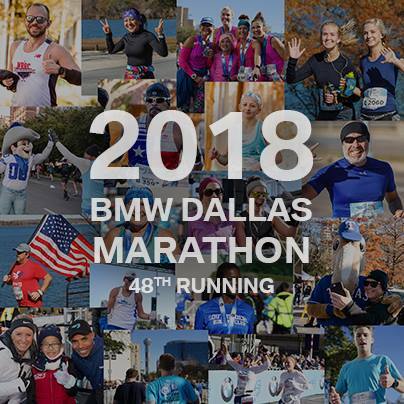 I really like the lesson learned from Fergus and his breaks, that is such a great thing to learn in running and in life too, and who better to teach it to us than our dogs? They instinctively understand how to savor the moment, and treat it as their duty to make us understand.